When we last met Bologna, it was December, and we went to their house and stole 3 goals and 3 points quite comfortably. Currently, they sit 12th in the table, with nothing really to lose and nothing really to gain from a win on Sunday. They are coming off of 4 straight losses, with their last win coming on March 13th against relegation likely Lecce. But do they have something to fight for? Who wants to be the team that hands the other team the Scudetto? What team wouldn’t want to spoil that party? So don’t count them out. They will likely come out both guns blazing, focused solely on these three points. Whereas Milan will need to be certain to focus on these three points if they want to achieve their desired objective. Milan will still be missing Ibrahimovic as he serves his last match of his most recent ban, and van Bommel will also sit this one out thanks to yellow card accumulation. As for injuries, ,we should have Nesta back as well as Ambrosini getting the start. Gattuso will be on the bench as he is still recovering from a training injury. The worst news is that Inzaghi has not been cleared to play yet again. Additionally, Gattuso, Nesta, and Pirlo are all on yellow cards already, and need to be careful of getting another yellow in this match, lest they miss our game at Roma the following weekend, which could prove troublesome. This means it will likely be Cassano and Robinho up front, with Pato on the bench for reinforcements, still not fully fit from injury. Seedorf is rumored to play in the CAM role he has struggled in all season, with Ambrosini, Flamini, and Boateng behind. The back line will be Abate, Nesta, Silva, and maybe Antonini at LB. Abbiati the one and only should start in goal. Of course, with so many injuries, this could change between now & Sunday if players become match fit. Bologna will likely bring their own 4-3-1-2 to the table. 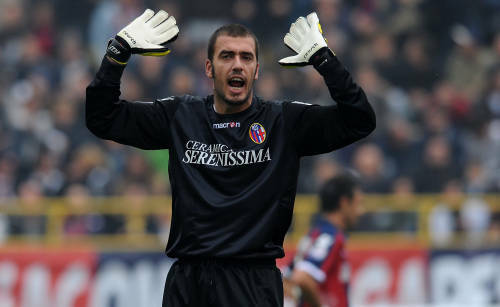 In goal will be Italy NT 2nd string keeper, Emiliano Viviano, with Britos, Portanova, Rubin, and Buscé in front of him. The midfield may look something like Mudingayi, Ekdal, Casarini, Ramirez, with Di Vaio and Paponi up front. Okay, the lineup will likely look nothing like that, but it’s my best guess. Not only do we need to stay focused, we need to make this game count. We have Roma, Cagliari, and then Udinese to wrap up our season, and we cannot count on three points from any of them. Plus, I like to wrap up things as early as possible to prevent any silly disasters, so we should play Bologna honorably but like the champions we hope to be. Forza Milan!! In other news, yesterday, in Rome, our very own Clarence Seedorf was Knighted to the Order of the Orange-Nassau by the Netherlands for his endeavors in sport and charity. He is the only player to have won the Champions League with 3 different clubs, and also founded his own non-profit 6 years ago called Champions for Children. I’m not sure if we must now bow to him, call him Sir Clarence or what, but I’ll bet he’s quite anxious to add a Scudetto to that bling he’s wearing! 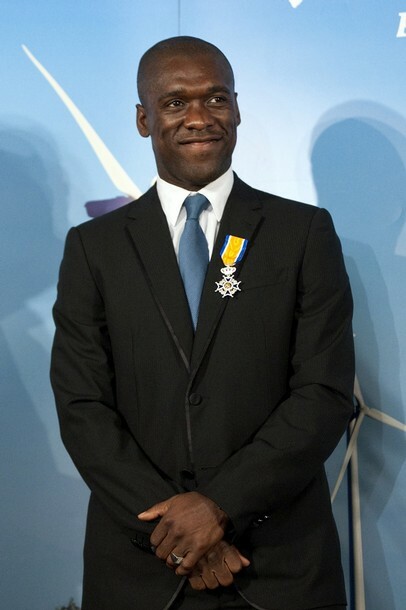 Congratulations Lord Seedorf! and enhanced by a serving of freshly made banana gelato.